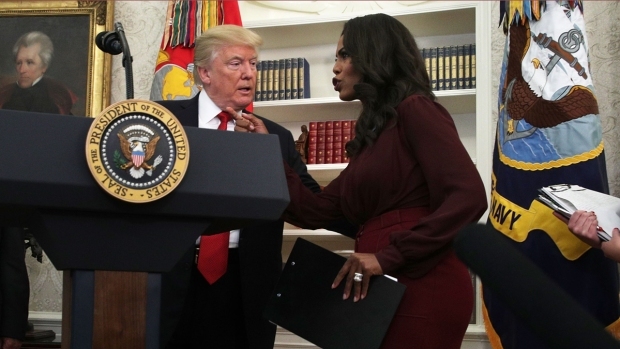 Lara Trump, who is heard in the tape, called it "a fraud"
Manigault Newman has known Trump since she was a contestant in 2003 on his reality TV show, "The Apprentice"
Omarosa Manigault Newman on Thursday released another secret audio recording that she says proves President Donald Trump wanted to silence her after firing her from the White House. On Tuesday, former White House aide Omarosa Manigault Newman released new recording of Trump campaign aides discussing his possible use of racial slurs and how they could spin the fallout. 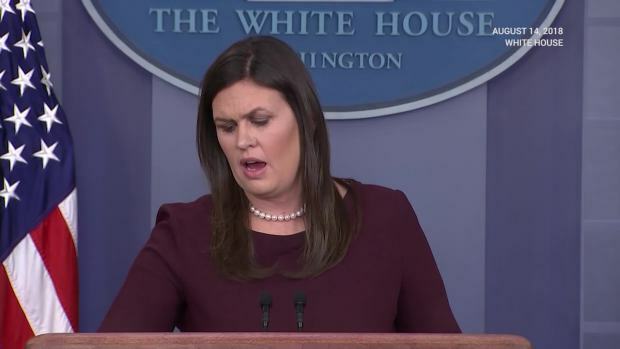 In a press briefing, White House Press Secretary Sarah Sanders doubled down on her defense of the President, saying Manigault Newman has "shown a complete lack of integrity" in her criticism of Trump. Manigault Newman chose to share four excerpts from a longer recording, though the full tape was played for NBC News producers. 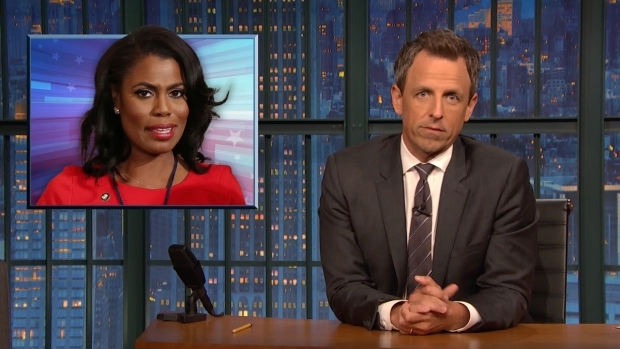 Seth Meyers takes a closer look at Omarosa Manigault Newman's claim that President Donald Trump knew in advance about the Democratic emails Russia hacked during the 2016 campaign. A former contestant on Trump's NBC reality TV show "The Apprentice," Manigault Newman was one of Trump's most prominent African-American supporters during his campaign. He hired her to be a White House assistant, earning $179,700 a year as director of communications for the White House office of public liaison.